Elvis covered his own cover of Perkins' "Blue Suede Shoes" in 1960, when a new recording was made for the film "G.I. Blues." Carl Perkins wrote the number after hearing a remark made by a boy to his girlfriend at a dance, "Don't step on my suedes." The lyrics were scribbled onto an old sack. Perkins then recorded the original version of "Blue Suede Shoes" on 19 December, 1955, and it was released on 1 January, 1956, on Sun 234. 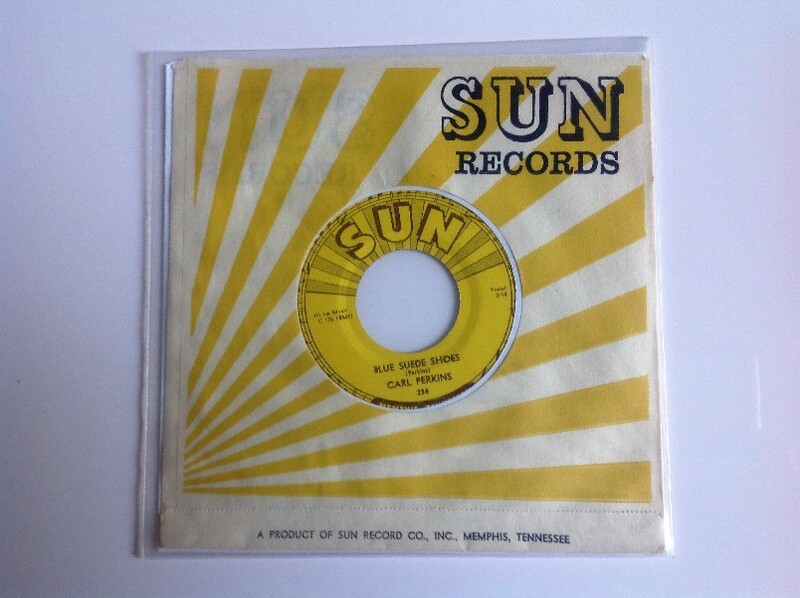 Perkins was just one of the many new Sun recording artists following in Elvis's wake. Another famous Perkins number is "Matchbox," and it is often indicated as also having been written by him. This is not the case, even if he did get his name on the writing credits at a time when the original was generally forgotten: Blind Lemon Jefferson's "Match Box Blues." Despite this sleight of hand, intentional or not, Perkins was one of the great rockabilly singers, even if his on-stage movements looked strangely forced. Carl Perkins died in January 1998. You can do anything but lay off my Blue suede shoes.